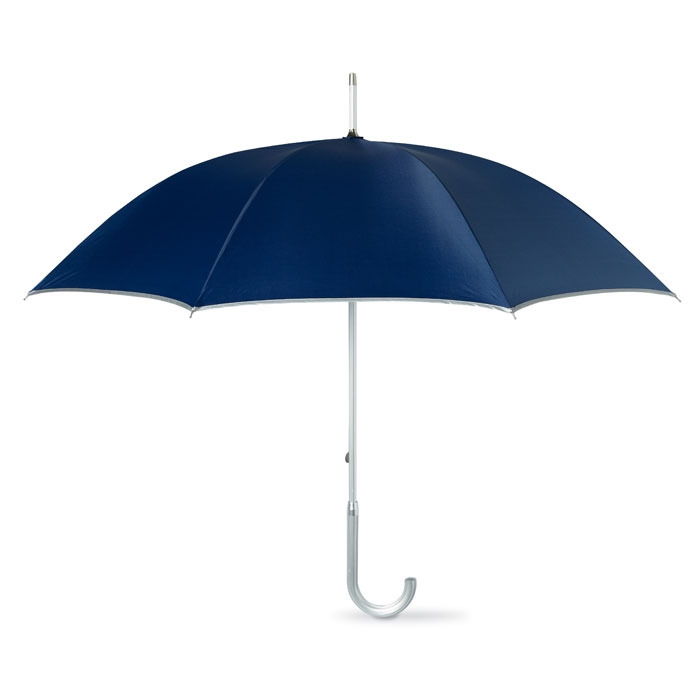 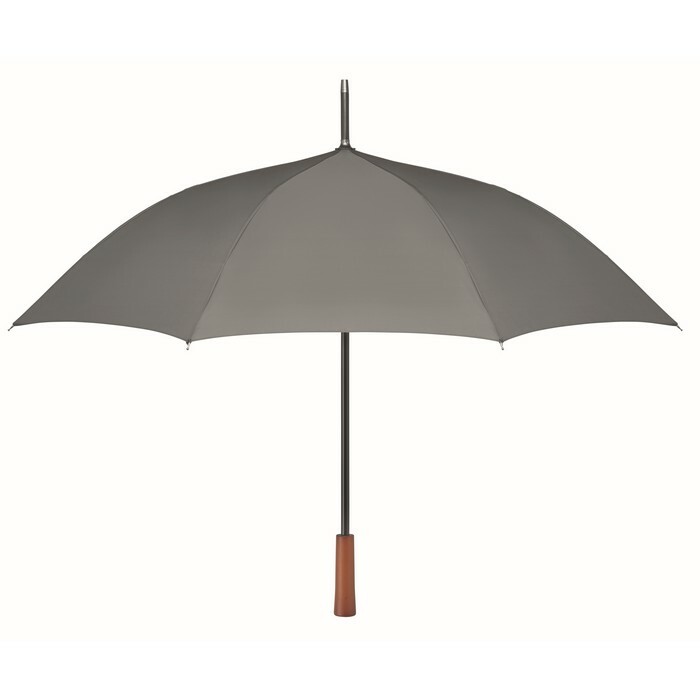 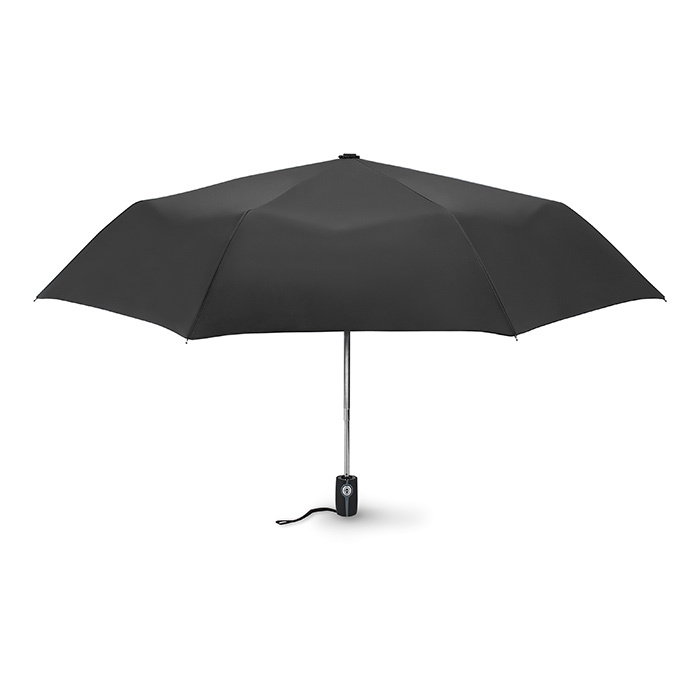 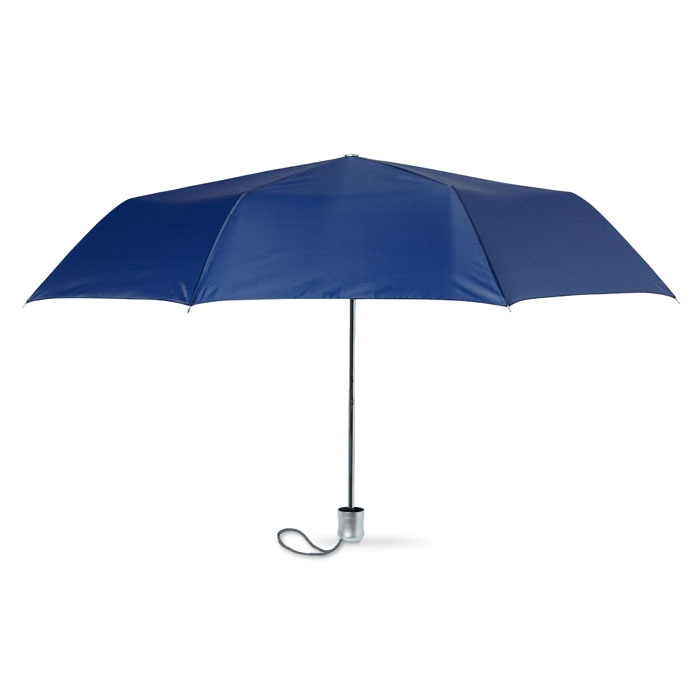 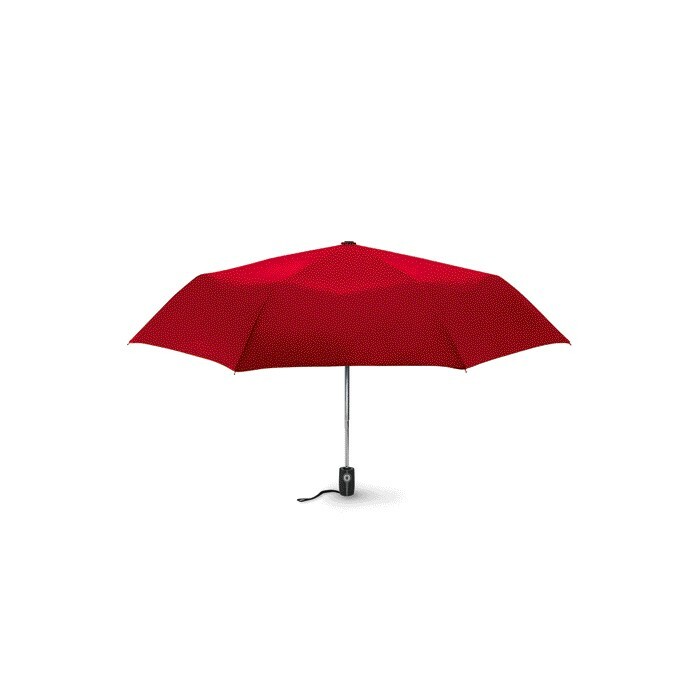 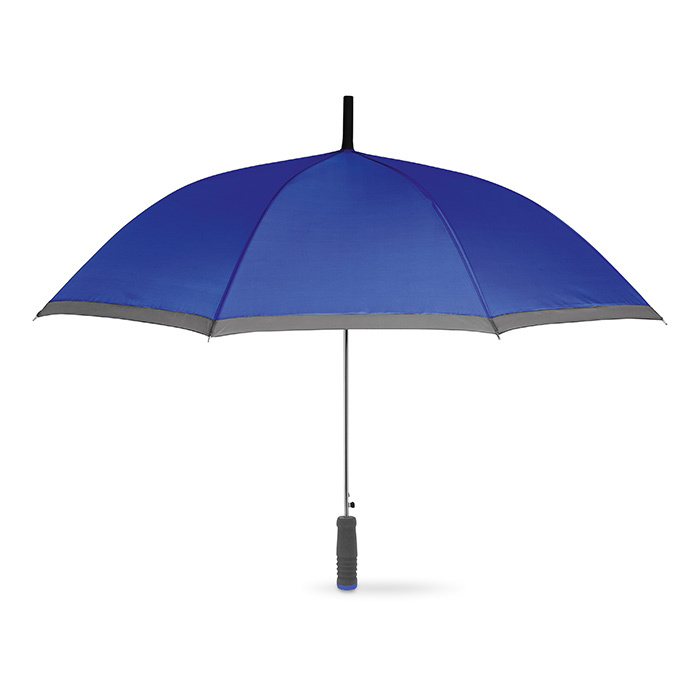 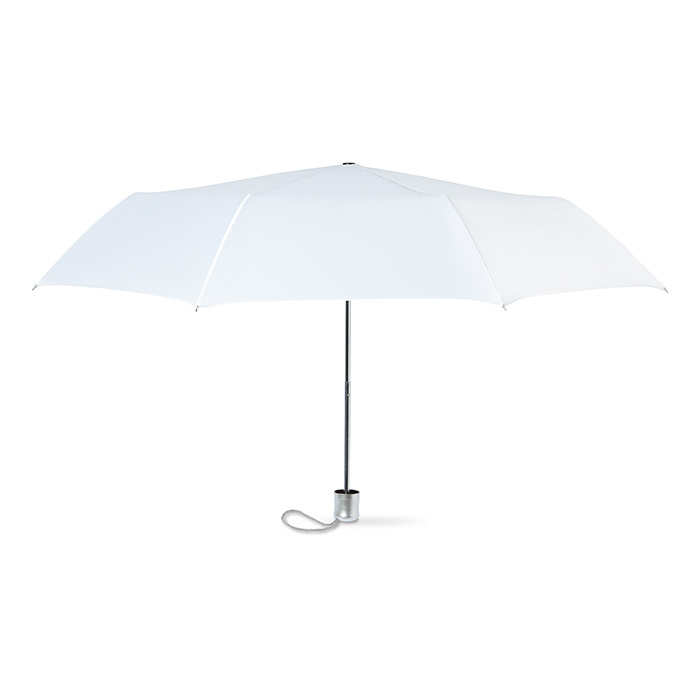 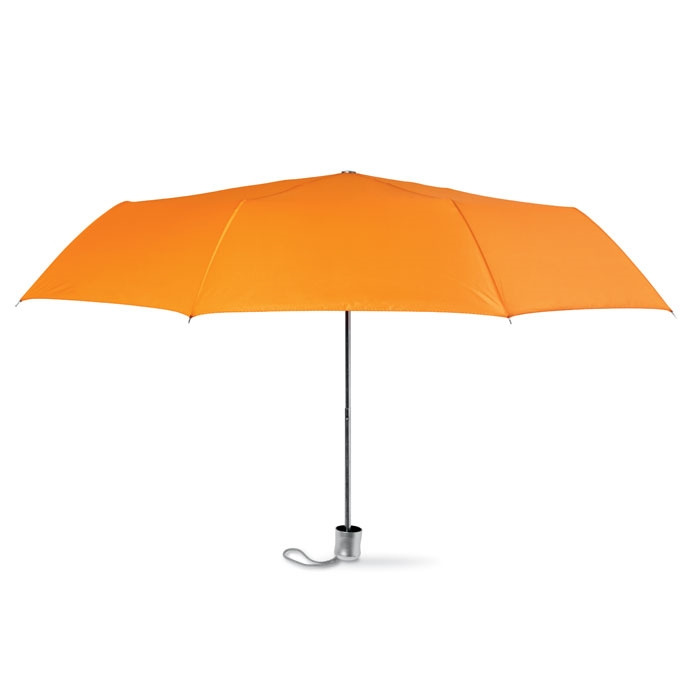 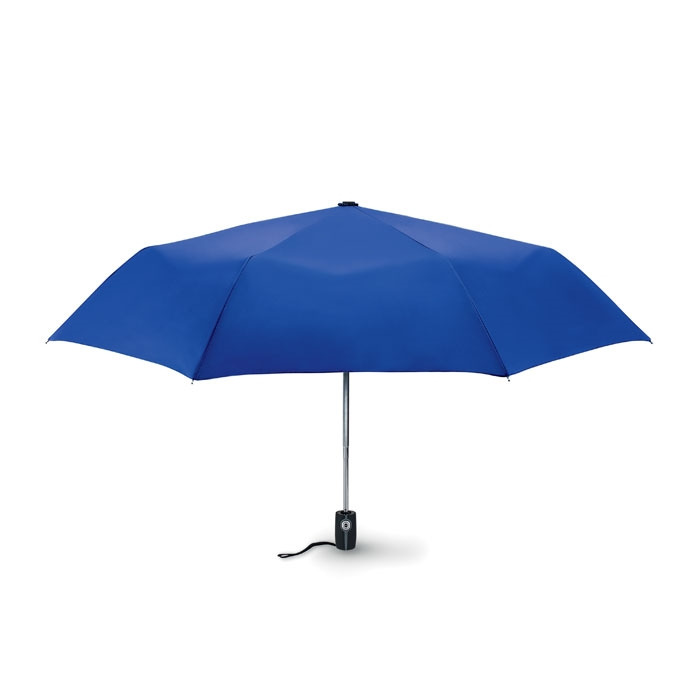 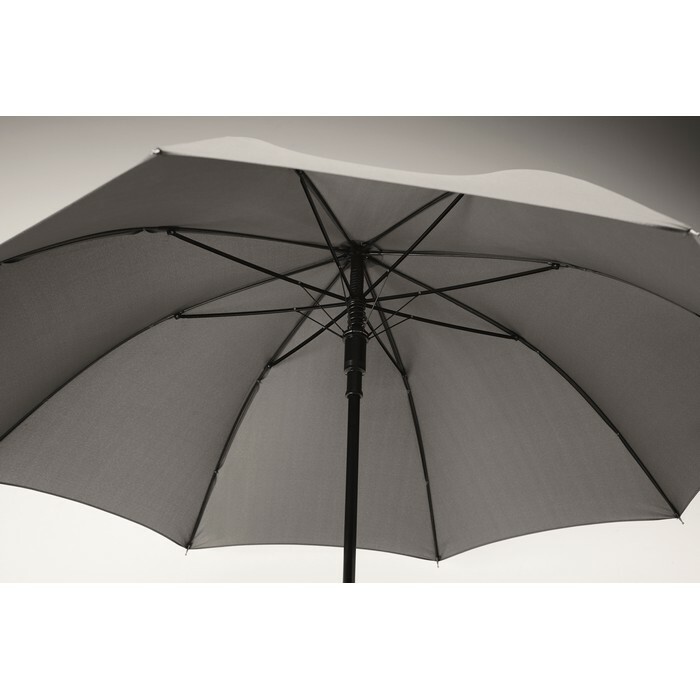 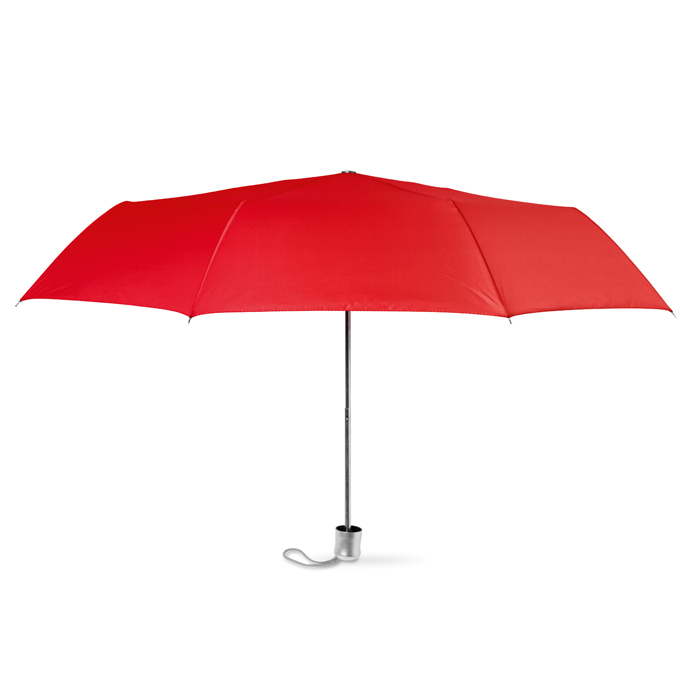 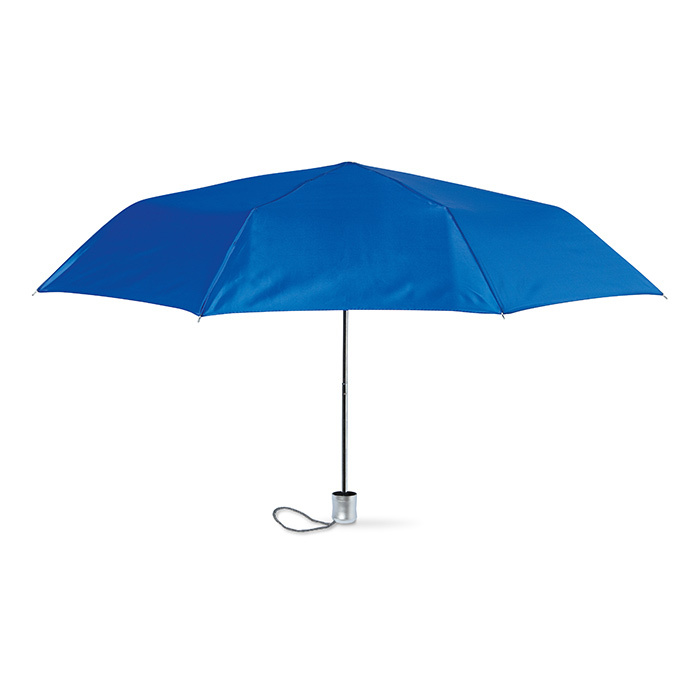 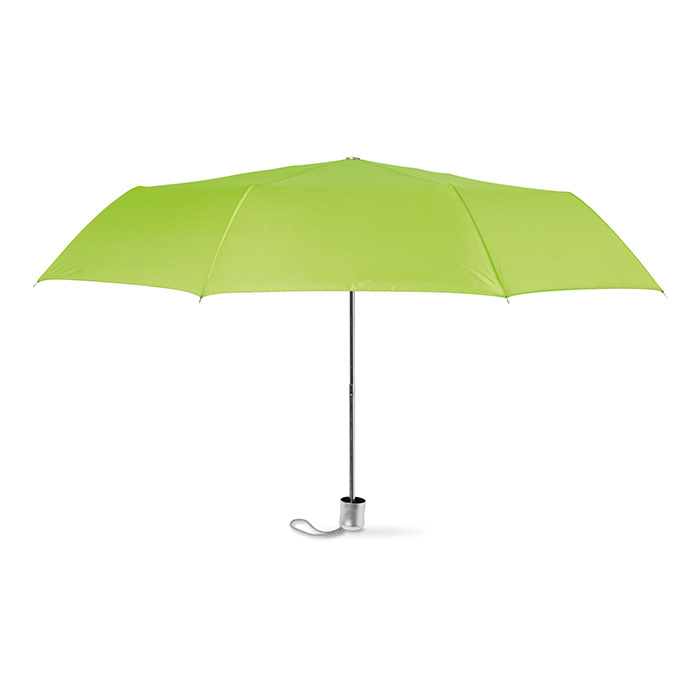 23 inch auto open umbrella in 190T RPET pongee fabric with black plated metal shaft and ribs. 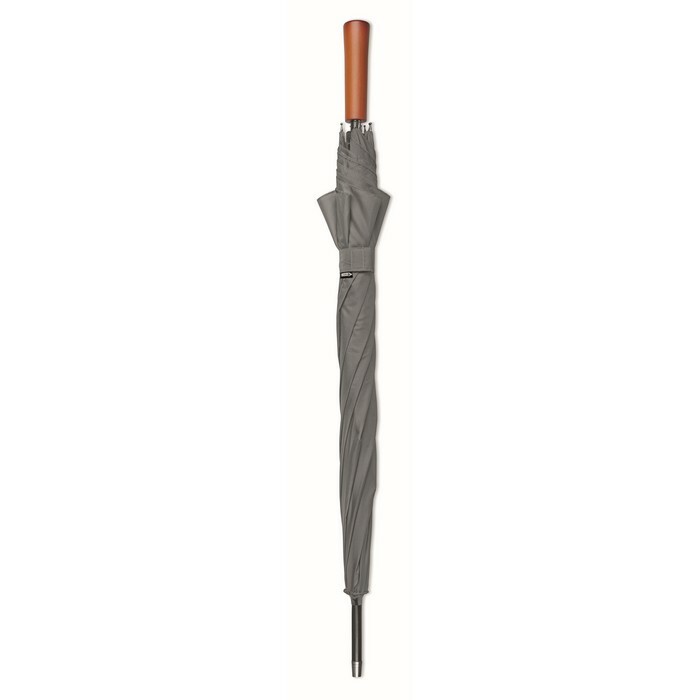 Straight wooden handle. Manual closure.